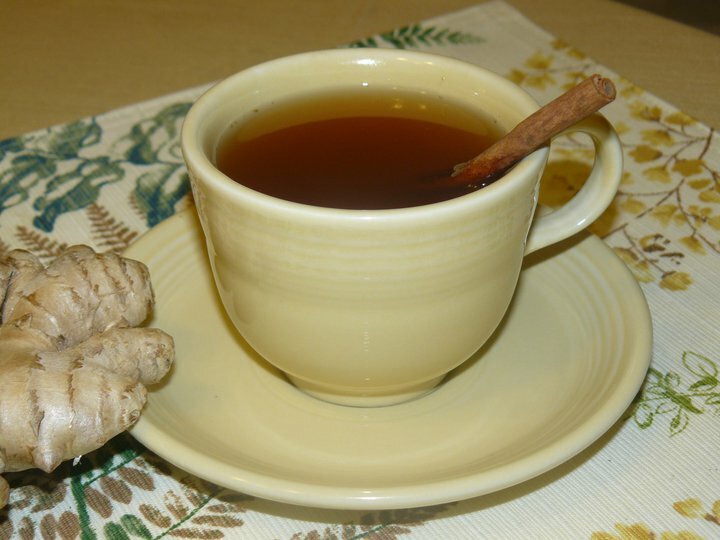 Ginger tea has many health benefits and is a common home remedy for cold, flu, and sore throat. Boil water in a saucepan. Add freshly grated ginger and cinnamon stick to boiling water. Strain. Sweeten with sugar. Stir well.